I am calling September the second New Year of the year. Why? Because summer is over, kids are back to school, some of us have been rejuvenated, but all in all it is a new start. It is an opportunity for us all to make new resolutions, start new courses, diets: – you get the picture! It is important looking at the next six months, to set a goal, make a plan. 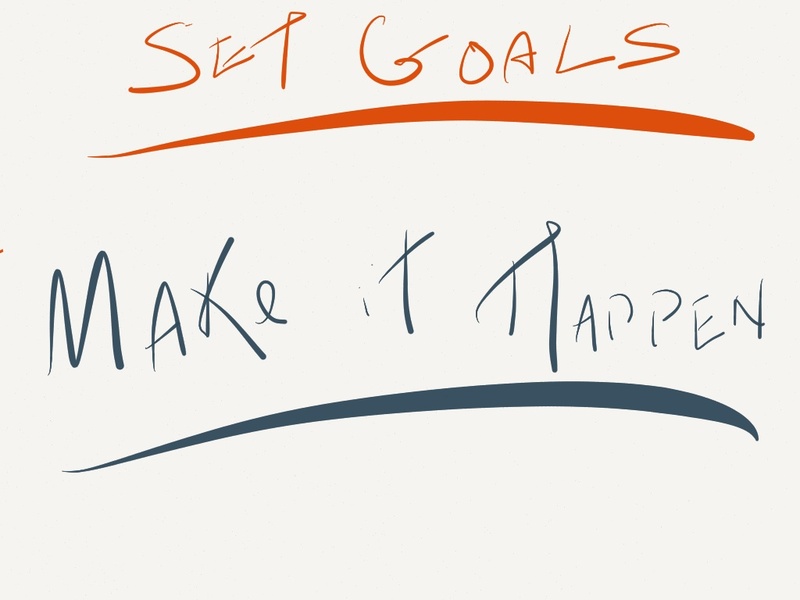 Have you ever come across SMART goal planning? Let me share for those of you who are not familiar with the term, it stands for Specific, Measurable, Action-Oriented (or Achievable), Realistic, and Timely. The last is probably the most important. Your goals need a time frame because without one, you can easily go from year to year feeling like you are not making headway and suddenly find yourself in a rut and. A time frame simply gives a beginning and an end to your goals and that’s the important ingredient. Creating a time frame is based on setting deadlines. Just like a deadline for work or school, this is the day when you’ll reach that goal. The first step in creating deadlines is to define the overall timeframe. Will this goal take a few years, months, weeks, or days to reach? Choose a day in the future that you think is realistic and don’t worry, you can go back and change it later. The important thing is to take action! For example, your goal might be to get fit or get in shape. First decide exactly what ‘get fit’ means – more excerise, better diet, less pop corn and chocolate, etc. To do this, take your overall goal and break it into these smaller and more specific sub-goals. You might choose to make one change per week. By Friday, you’ll be eating three portions of green vegetables per day (remember that it has to be specific). By the next Friday, you’ll be consuming half as much sugar per day. You’ve now got an action plan and a solid time frame for it. There are several ways to make your deadlines happen. First of all, the key to success is to be realistic. Look at each of your sub-goals and ask yourself if you can really reach it in that time. How do you know if it’s realistic? At first, you don’t. But a safe way of guessing is to make a note all of your deadlines. Give each an extra day in case things don’t work out as planned (and they rarely ever do). You can also monitor along the way. Check your progress periodically and see if you’re still on target for reaching that goal. For example, if your goal is to save money, you should have a X amount and a deadline. Every week, check your stash to see if it’s piling up the way it should be. If it’s not, push your deadline back accordingly. Do you see a common theme here? It’s flexibility. Deadlines help you get things done and your timeframe gives it all a sense of urgency. But you don’t want to put yourself in a perpetual state of panic. Flexibility means that you’re willing to change course and adjust if needed, but not stray from your overall end goal. I can guarantee life will get in the way and let it; but don’t let it stop you from reaching your goals.